Life Long Learning - Thinkers Lodge - Beautiful, historic venue for weddings, conferences, and retreats in Nova Scotia, Canada. The very first “Thinkers Conference” in 1955 was put together by Cyrus Eaton with the help of Julian Huxley. They invited University Presidents, Deans and Professors to talk about the pressing issues of their time. To this day, Thinkers Lodge is filled with Hitchcock Chairs emblazoned with the names of the University Scholars that attended these programs. Then in 1960, Thinkers Lodge held an international conference on “Continuing Education.” You can read about it here. In 2013, we will begin a new series of Life Long Learning Programs. Our first effort in 2011 was the sold out Story Telling Workshop with Jay O’Callahan that you can read more about here. 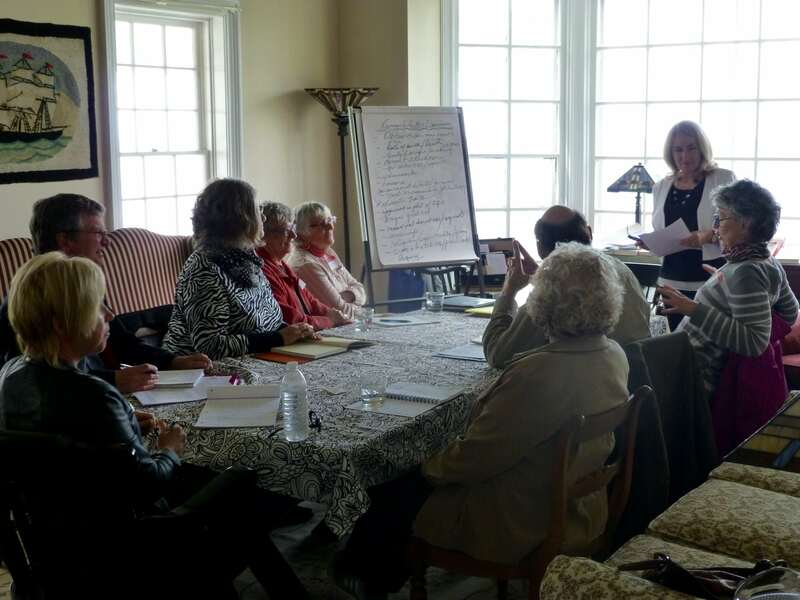 Our most recent Lifelong learning workshop featured Marjorie Simmins, author of “Coastal Lives”: Substance, Structure and Sizzle on Memoir Writing.